Summer is finally on its way! We are having a neighborhood cookout today to celebrate the warmer weather and longer days. I wanted to bring something somewhat healthy, because it is so easy to bring something unhealthy to parties and celebrations. This is one of my favorite salads. 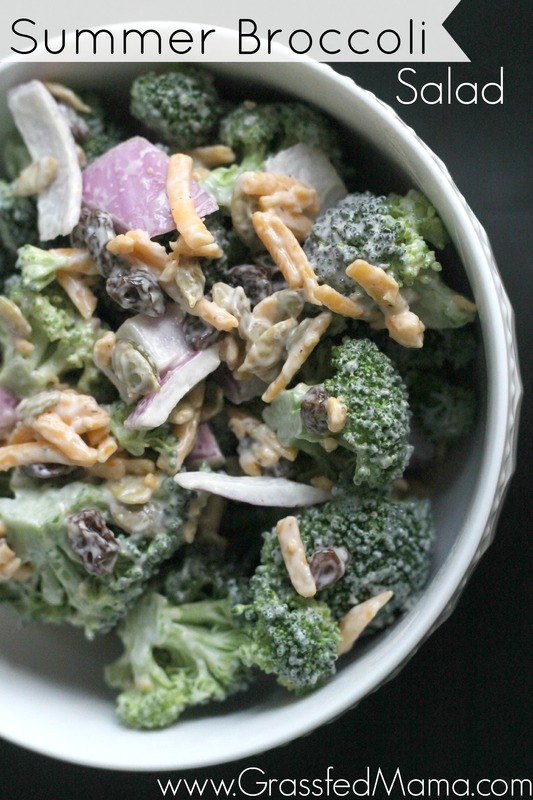 Broccoli Salad filled with vegetables and satisfying cheese and dressing – yum! This may be a crossover because of the carbs from the raisins, but it is still lower in carbs than most salads (and you could drop the raisins of course!). My mom used to buy this salad at the grocery store, then we learned how to make it ourselves. I love how you can customize it to include more or less vegetables that you like. Some people may like to add tomatoes. This is also a great recipe for kids to get involved. My daughter liked mixing the vegetables and helping me chopping as she could. I also love including her in the kitchen as I can to help her learn and be around new foods. I think the bacon was her favorite though, haha. 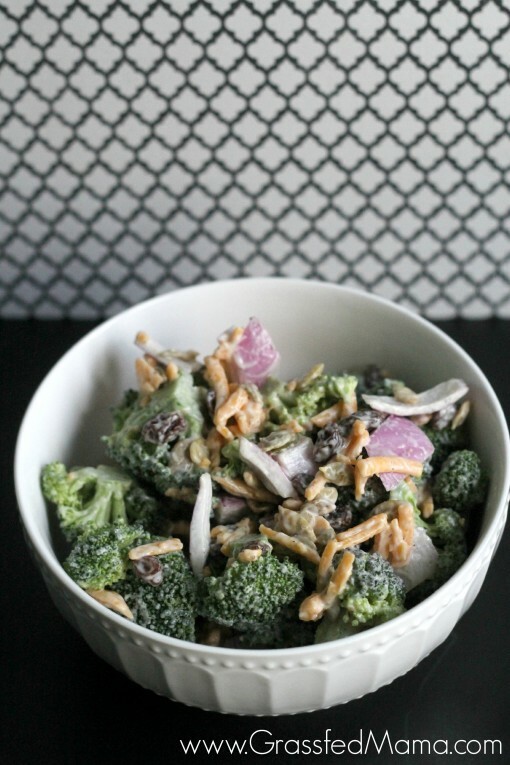 Put your broccoli, onion, cheddar cheese, seeds, raisins, and bacon in a large bowl. Mix dressing into chopped vegetables. Serve cold. What are your favorite recipes to bring to a picnic?